The Rev. E. Francis Kelly, a Scranton native and chaplain of the Little Sisters of the Poor’s Holy Family Residence, was honored recently at two Masses in the chapel of the residence to celebrate the 50th anniversary of his ordination to the priesthood. The first Mass took place on Friday, May 26, and the second one on Saturday, July 1. Each Mass was concelebrated by friends and members of Father Kelly’s ordination class. 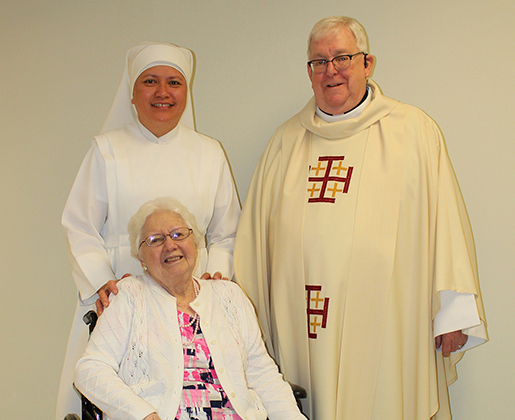 Following the Mass in May, the Little Sisters hosted a luncheon in Father Kelly’s honor with several guests including priest friends, Residents and their families, Jeanne Jugan Associates, and staff. After the July celebration, Father and his family and close friends marked the occasion with a reception at La Buona Vita, Dunmore. Kelly, who was born in Scranton, graduated from Saint Meinrad Seminary & School of Theology, Indiana, in 1967, and was ordained on May 27, 1967, by Bishop J. Carroll McCormick. He celebrated his first solemn Mass the following day at his home parish, St. John the Evangelist Church, Scranton. Following assignments as assistant pastor of St. Vincent De Paul Church, Plymouth; St. Patrick Church, Scranton; St. Rose of Lima Church, Carbondale; St. Thomas Aquinas Church, Archbald; and as chaplain of St. Joseph’s Hospital, Carbondale, Father Kelly served as pastor of St. Ann Church, Freeland; St. Francis of Assisi Church, West Hazleton; Holy Saviour Church, Wilkes-Barre, and Our Lady of Victory Church, Harvey’s Lake. Kelly was assigned to his current position in 2009. The Rev. 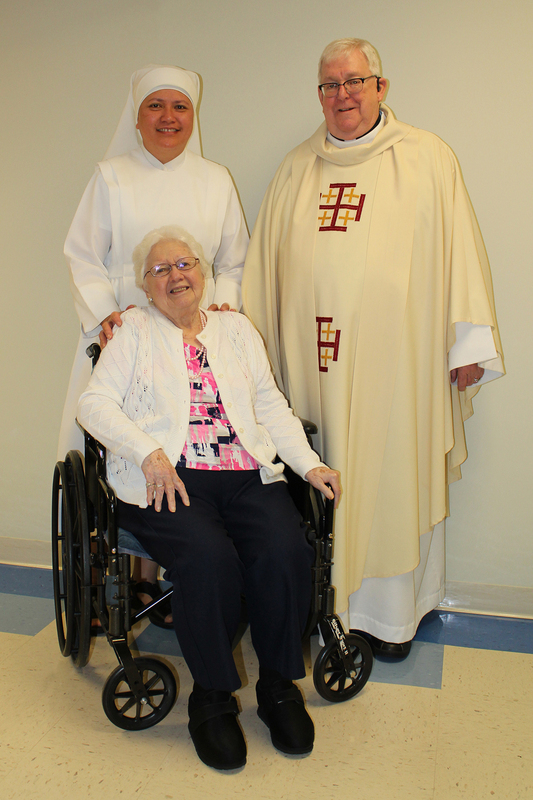 E. Francis Kelly, chaplain of the Little Sisters of the Poor’s Holy Family Residence, Scranton, is pictured with Mother Theresa Louisa Wooching, l.s.p., superior of the Little Sisters of the Poor’s Scranton community, and his cousin, Frances Norton, following a Mass in celebration of the 50th anniversary of his ordination to the priesthood.